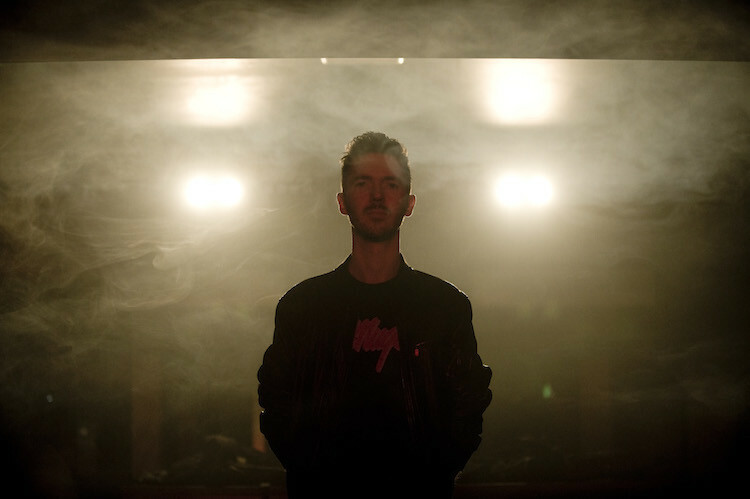 Scotsman Graeme Clark, better known as The Revenge finishes 2015 with the honour of ‘Best Album’ at the DJ Mag Best of British awards for ‘Love That Will Not Die’. Graeme continues to release music on his very own Roar Groove label with the recent announcement of ‘Intimate Connection’ – a double EP featuring all-new tracks plus special ‘live dub’ recordings from title winning ‘Love That Will Not Die’. Graeme is never one to rest on his success, having numerous creative outlets and aliases with respected collaborators. As 6th Borough Project, alongside veteran Edinburgh DJ Craig Smith, the production duo turned out two full-length albums for the UK label Delusions Of Grandeur. Another long term partnership with Glasgow’s lSub Club resident DJ Harri has apparently gained support from artists such as Skream, DJ Hell, Rob Da Bank and Ewan Pearson. Having released on a multitude of labels including DFA, Pokerflat and his own defunct Instruments of Rapture, Graeme has rebuilt the foundations in the form of Roar Groove - releasing his own original material with a range of vocals, tempos and dubs along with like-minded producers on various music formats. ‘Intimate Connection’ comes in the form of a double EP, split into two parts – each containing three new tracks plus a specially recorded live ‘dub’ version of tracks featured on ‘Love That Will Not Die’. Part One of the EP features a laidback down tempo theme to start with ‘Our Own Thing’, featuring organic house stabs accompanied by an ever-progressing arpeggiated chord sequence. ‘Answer Man’ follows with big, yet raw, percussion while ‘New Nation’ builds suspense with a driving synth bassline. The first of the two live ‘dub’ recordings rounds out Part One, manipulating the ubiquitous “Think (About It)” sample in ‘Night Fever’ with stuttered percussion in one take, taking it away from the tribal themes in the original track. Graeme opens Part Two of the EP on a similarly relaxed tip; ‘Isle Of Lucy’ is a chilled, deeper number with a characteristic sultry melody. ‘Let Love Take The Blame’ proceeds next with a wider and more active bassline, filtered and twisted in different turns sometimes with a lick of acid which leads nicely in to ‘No Turning Back’ with more raw drum machines and a heavier acid undertone. The second live ‘dub’ recording wraps up Part Two of the double EP, in which Clark maintains the metallic and almost minimalistic percussion of the original ‘Just One Touch’ but adds colour to the regimental bass stabs. It’s out 15 February on Roar Grooves.